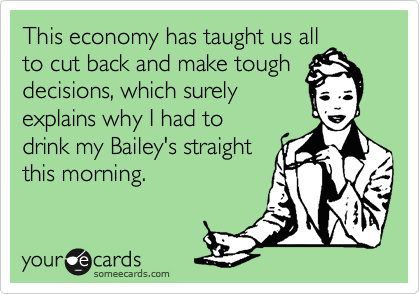 Bailey’s is a holiday staple, perfect for morning coffee (not for the Sip Advisor, though) or straight up as a night cap. Last Christmas, Sis-in-Law Sip gave me a bottle of Chocolate Cherry, which I only haven’t opened because I was going through another crème liqueur and don’t like having too many on the go. Other flavours perfect for the season (and year round), include Orange Truffle, Vanilla Cinnamon, Biscotti, Hazelnut, Salted Caramel, Mint Chocolate, and Crème Caramel. With flavours such as Hazelnut, Cinnamon Spice, Peppermint Mocha, and French Vanilla, Kahlua ranks right up there with Bailey’s as a textbook winter treat. New to their product line is a Salted Caramel version, which has the Sip Advisor quite intrigued. Kahlua – and other liqueurs – are basically the only way I will intake coffee and despite my complete disregard of the hot beverage, I do have a soft spot for it in booze form. I love putting a couple dashes of Peppermint Schnapps in my hot chocolate. The Sip Advisor is currently using Yukon Jack Permafrost as his go to winter warmer. This product is unique in that it combines the flavours of peppermint and cinnamon all in one bottle. There are also a few peppermint-flavoured vodkas on the market, including Smirnoff Peppermint Twist Vodka and Burnett’s Candy Cane Vodka. Earlier this month, I used the Candy Cane Vodka for another Flavour Revolution article. 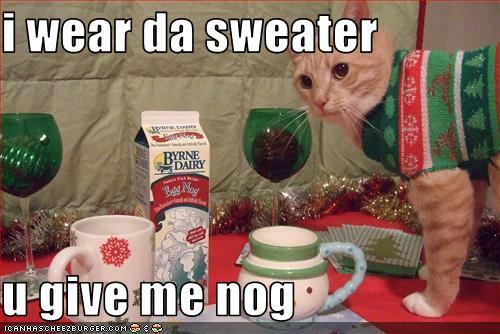 You can’t go through the Christmas season without eggnog. Even people who aren’t crazy about the beverage (such as myself), end up indulging in the nog at least once… for tradition’s sake. A number of companies have jumped on the eggnog bandwagon, releasing pre-mixed bottles of the festive drink. An interesting Peppermint Chocolate variation comes from the Evan Williams distillery, which turns the dial up on Christmas! In a similar vein to the SoCo Gingerbread we’re working with today, comes Spicebox Gingerbread Whiskey. I’m going to start sounding like a broken record, but this is another spirit that I have had great interest in, but have yet to purchase and sample. Along with the cookies it is inspired by, gingerbread is perfect at this time of year, soothing eaters and drinkers with a spice and warmth that is unlike any other treat available. Having been a Jack Daniels fan since before I even began drinking, I’ve always been curious of this winter release, which combines the famous Tennessee whiskey with apple cider to produce a ready-to-drink cocktail. Sis-in-Law Sip gifted me a bottle of this for Christmas this year, but as of press time, I’m still showing it off underneath our tree. It sounds like the perfect liqueur to bring in the New Year with, so perhaps I’ll have to report back to all you little sippers. There’s also a multitude of winter beers on the market, many of which I have covered in my recent Sip Trips articles, looking at the craft beer advent calendar Mrs. Sip compiled for me. Is there anything else out there I’ve neglected and should add to my shopping list?